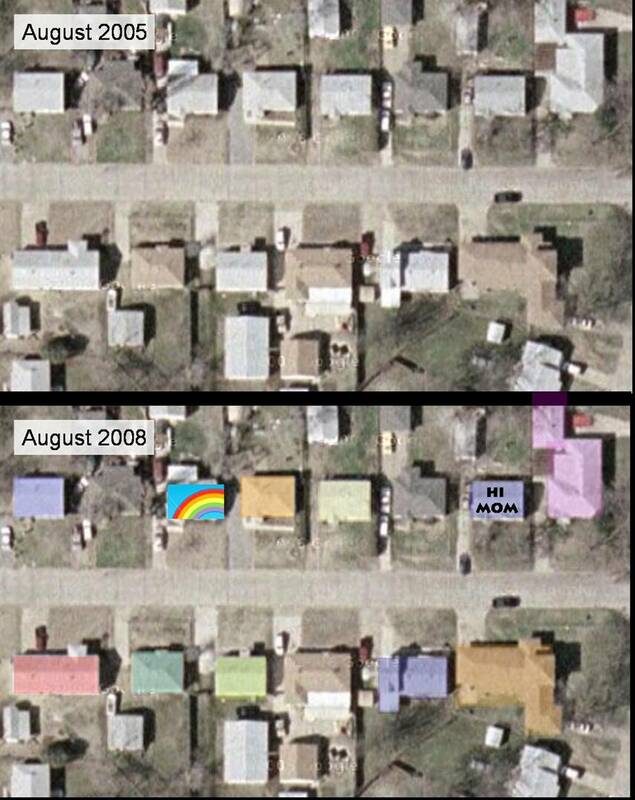 In 2006 the introduction of Google Satellite made people in suburban neighbourhoods everywhere discover that the roofs on their houses all looked exactly the same. In the past two years, the market for roof décor has experienced a surge in popularity as homeowners are becoming increasingly aware of how ugly their roofs are. Peggy Schmidt, a nationally recognized Roof Style Consultant whose work has recently appeared in Elle Décor and Metropolitan Home, attributes the rise in popularity to Google Satellite – a free online service that allows everyone with an internet connection to obtain detailed satellite imagery of everyone else’s ugly roof. Designers and architects are also encouraging the market’s increased popularity. “People are looking to use bold colors and dramatic patterns that will be visible from space,” says award-winning architect Isaac Simmons. Major designers such as Martha Stewart have embraced the new trend by introducing special roof paint. Experts say the boom in the roof décor industry has been the most important result of satellite technology, second only to the telecommunications revolution and government spying.